Sydney Fitzpatrick is an agent with the FBI. Her main role with that illustrious organization is that of forensic artist but she invariably goes far beyond that job description and gets herself into situations no artist would ever desire. Luckily for her she has a badge and a gun and the knowledge of how to use both. With her artist's eye, intelligent ears and skillful hand she can listen to victims and witnesses and get them to remember and describe things a lot more than they ever would have thought possible. Then when the opportunity and need arises, she can put on a flak vest and join in the takedown. Fitzpatrick is 33 years old as this series begins. She is fairly happily single though she had gotton close to changing that just before the first recorded adventure. As it opens, she resides in and works out of San Fransico, a city she loves even though she lives in a section she is convinced never gets sunshine - only fog and rain. She has been an agent for four years and served in the Sacremento Police Force for eight years before that, giving her an impressive amount of experience. In the later adventures, her headquarters changes and the field of operation increases dramatically. One interesting aspect of this agent is that she had a reputation for being straight-arrowed, by-the-book but slowly changes into someone who will take a chance and who listens to her instincts and who is willing to do bend a few regulations and maybe snap a small one or two. This impresses a few fellow agents and upsets a few as well but it gets the job done and has thus far kept her alive when otherwise she would have died. And she is very much aware of that. Fitzpatrick's adventures take a turn from crime- and terrorist-fighting in the domestic arena to the international front in the second recorded story and stay in that broader field from then on, especially after she saves the life of covert operative Zachary Griffin and the two become partners. Exactly who Zach is takes a while to learn as he is hardly one to talk about much of anything. He is definitely one of the good guys but where he came from and how he got where he is can be hard to get out of him. Even more interesting for Fitzpatrick for a while is who does he work for. He introduced himself as a Special Agent making her think for a short time he was a fellow Fibbie but that was soon discarded. And making him a member of sister law enforcement groups like the Secret Service, DEA, NCIS, OSI, and so forth was also moved away from. Whoever his bosses are, though, his assignments which Fitzpatrick gets sucked into are always strange and dangerous. Two decades earlier, the murder of her father wrecked havoc in Sydney Fitzpatrick's life. 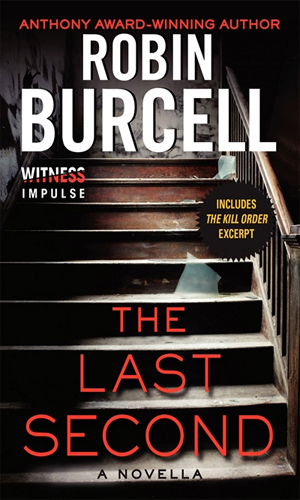 Now as experience FBI forensic artist, she has the chance to face his killer but that means learning a lot more about her father than she is prepared to. And learning it can get her own government after her. 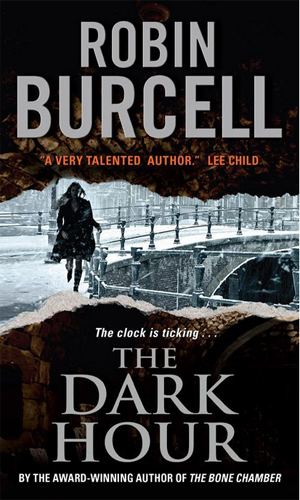 Her identification of a faceless body as the daughter of the US ambassador to the Vatican launches Sydney Fitzpatrick on a case heading to Rome along with covert agent Griffin as they seek a mysterious object that is connected to bioterrorism. 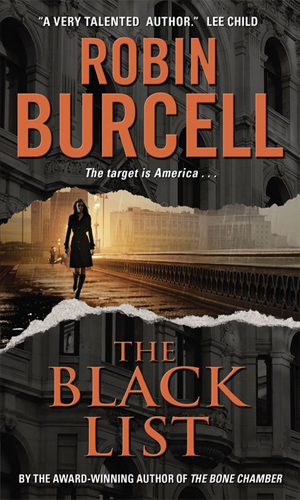 A covert government agent's wife is missing and thought dead. 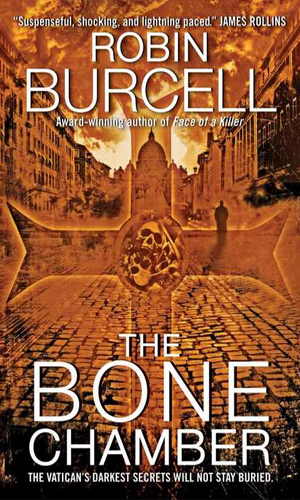 Sydney Fitzpatrick is put on the case which takes a strange turn when it appears she is still alive and involved with a very dangerous bioweapons organization. The A.D.E. is a relief organization resettling refugees from East Africa. The death of one of its accountants was considered an accident until a second dies. The fact that a powerful US Senator is backing this charity brings in the FBI and Sydney Fitzpatrick. The Devil's Key is a list of numbers, appearing to be random and making little sense, that can affect national security and which has been getting people killed for years. One of the victims was Sydney Fitzpatrick's father many years ago. Now Fitzpatrick has it and has made a copy. 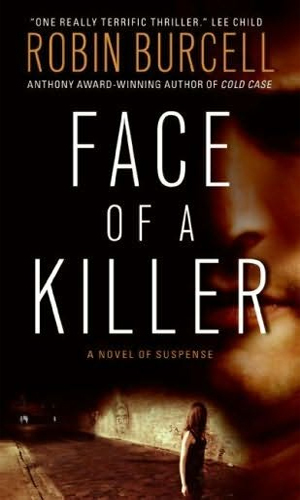 Sydney Fitzpatrick and Zachary Griffin take a break from an assignment to investigate gun and drug running supposedly by a police officer along the Mexican border but when he disappears, his sister insists he is the victim. Liking Sydney Fitzpatrick is easy. She is pleasant on the eyes, sharp as a whip, has no chips on her shoulder, is a huge fan of loyalty, and loves to go up against bad guys even when they try to run her down or shoot her rear end off or blow her into a gazillion pieces. Okay, maybe that last part about going against evilmongors might tend to cause your desire for closeness to waver. Luckily, her author has a solution for that. She puts all the danger and excitement, along with the other things about Sydney I mentioned, on the printed page so you can enjoy without looking over your shoulder all the time. 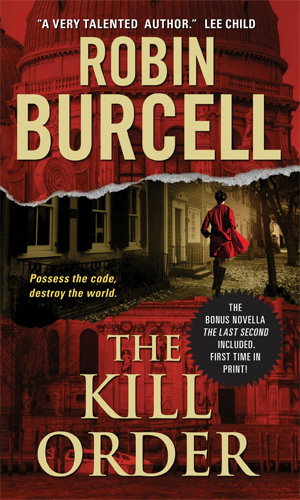 Most people who list Ms. Burcell's series do so with Mysteries or Suspense and they definitely belong there for there is also an interesting puzzle to solve as to who is the killer or who is behind the theft or so on and there is always a ton of suspense as while Fitzpatrick is occasionally smart enough to wait for backup, the people trying to kill her are not so patient. But the series also belongs with Spy/Espionage series because she is so very often up against international terrorists or power-grabbers or kooks who just want to make a name for themselves by blowing up a government building or two. Regardless of how she is placed, reading the Sydney Fitzpatrick books is never going to be a bad idea.